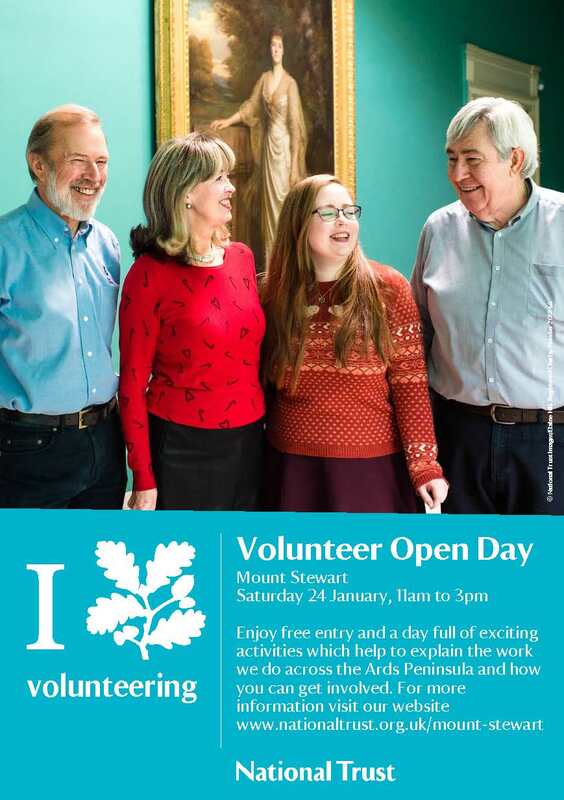 An important date to tell you about is next Saturday 24 January 2015, 11am – 3pm, our Volunteer Open Day. This is for both current and potential new volunteers to visit the property to see all that is happening and what they might like to start (or continue!) working at. Jenny, our Volunteer Co-ordinator, has an interesting schedule planned from house tours to garden talks. Christina, Project Conservation Assistant, who is demonstrating textile and book cleaning. Tomasz, Strangford Lough Ranger, who will show you how to make habitat boxes and help you spot wildlife. Calum, Project Joiner, who will demonstrate his marvellous wood turning. The education ladies will be in attendance too, the younger folk will enjoy finding out about the interesting activities they can take part in at Mount Stewart.